the Start of a Dream Dating Life. The 3-step system that takes my divorced clients from self-doubt to towering confidence—and dating beautiful women. How to get LOTS of matches and dates on Tinder, Match or any app, even if you’re not sure how to swipe or what to text. FINALLY! How to move on from a painful divorce and this time find the RIGHT woman to share your life with. The 3 moves to stay out of the “friend zone” and increase romantic connection on first dates. How my older clients in their 40s and 50s date amazing women in their 20s and 30s. Connell Barrett is the founder and executive coach of DatingTransformation.com. He’s helped divorced men all over the world attract amazing women, get great girlfriends and build lasting confidence. 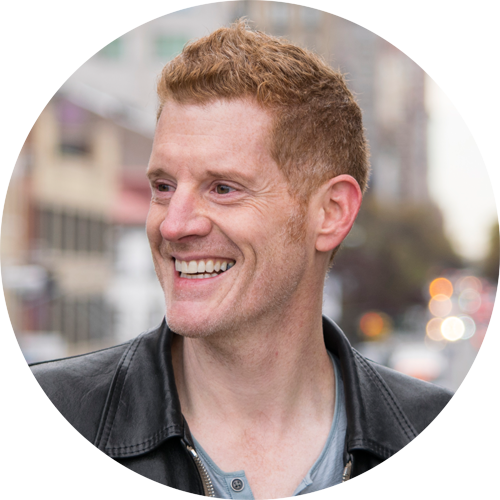 "Connell Barrett shows men how to transform their dating lives by being authentic and more confident." "[He’s] light years ahead of other dating experts. Connell is a cross between Hitch and Tony Robbins, and he’s totally focused on results." ​​LESS THAN 25 SPOTS LEFT! Feeling like a badass mofo, gaining unstoppable confidence, becoming a hottie magnet and actually enjoying the dating game once more.